Select to explore the top performing software products across the most important business functions. Browse software buyer guides and other free reports across a wide range of software categories. "it was truely one of the best websites for..."
" The storage of your files in an application." Explore data and rankings on 1000s of software products for any business function - free of charge. Unlike most analysts and other platforms out there we don't charge vendors to be on Crozdesk or to appear in rankings. Awards and top rankings are determined by powerful and entirely unbiased AI algorithms. The propriatary Crozscore™ and Crozdesk Market Radar™ show ranking and postion of software products based on hundreds of factors in each category - all in real-time. Explore free analyst white-papers and reports on numerous software industries, incl. Data Analytics, Business Operations and Security - or explore other helpful resources and guides on the software blog. As a Crozdesk user you can now download a wide range of software buyer guides and other reports entirely free of charge. Browse our free report library for resources to help you in your search for business software. 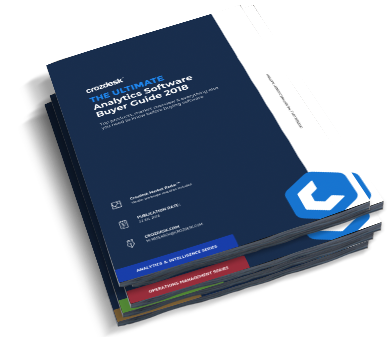 Our data-driven software buyer guides are the perfect starting point for your software search.